The front page of this book had mesmerised. And if it had my brain mesmerised, imagine what a five-year-old's brain would do. 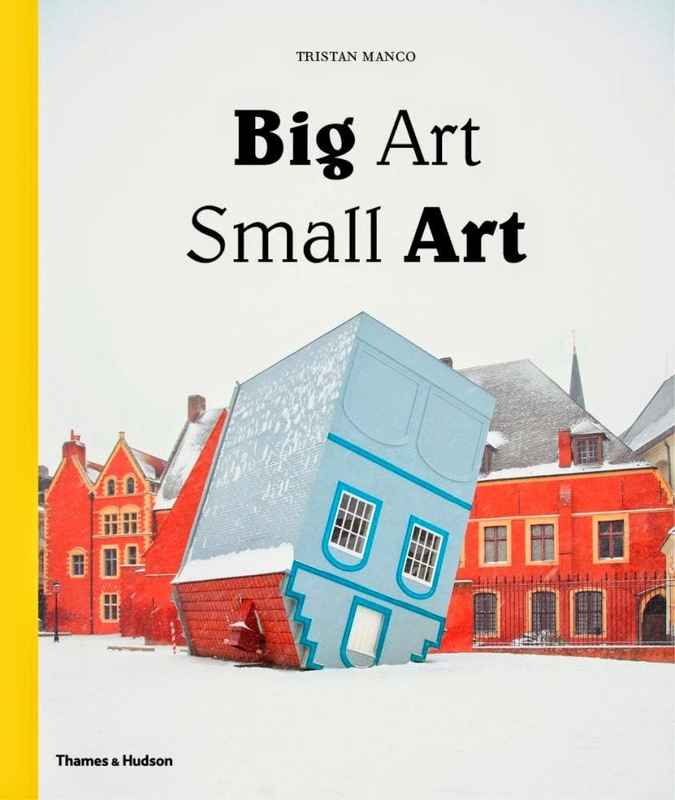 Big Art Small Art is a fascinating compilation of artworks from around the world, tucked into a grand format book with content of even grander proportions. Divided into two sections – big art and small art – we're treated to the profiles of 45 contemporary artists who work in stunning scale--either teeny tiny or impressively grand. Entries include carved leaves by Lorenzo Manuel Durán (Spain), micro reproductions of artists at work in their studio by Joe Fig (USA), giant mechanical kinetic sculptures by Theo Jansen (Netherlands), galaxies of shimmering spheres by Nike Savvas (Australia)--even an hilarious 'Blue Mountain' featuring Sesame Street's Grover, by Takahiro Iwasaki (Japan). I love the inventiveness and detail of the work in this book--whether on the grandest of scales, like David DiMichele's stupendously gorgeous rooms filled with striking light fittings, or the miniature man and child insider a tiny vial, suspended under a glass cloche. As curator Tristan Manco says in the introduction of this impressive book, 'art has the power to stimulate and present us with new ways of seeing'. What better gift to hand children of all ages?